Have you ever had one of those nights where you look in your fridge and pantry and wonder what in the world you are going to make with the few items you have on hand. Well, this happens to me more often than I would like to admit, but I have made-up some great recipes this way and this is one of them. 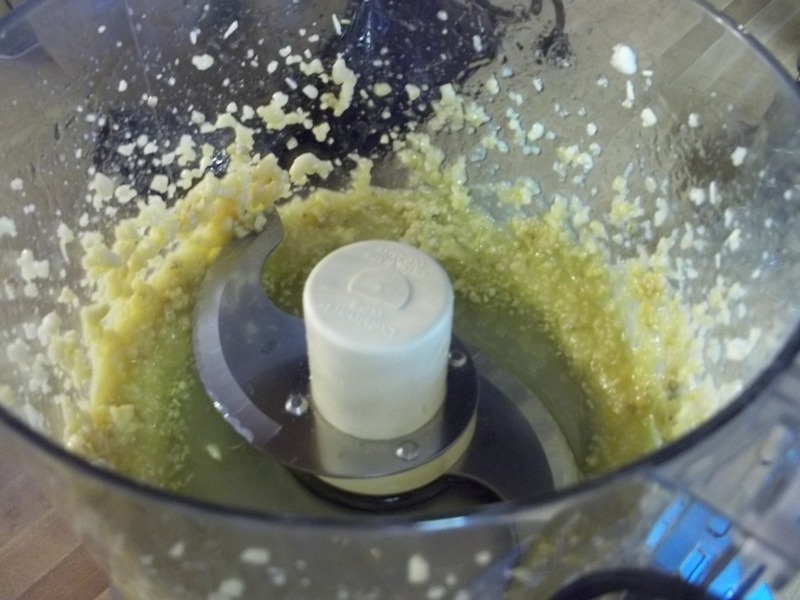 Add your garlic cloves (I use more than directed, because I’m a garlic fanatic) and pine nuts in your food processor (a blender should work too). Then add your olive oil. 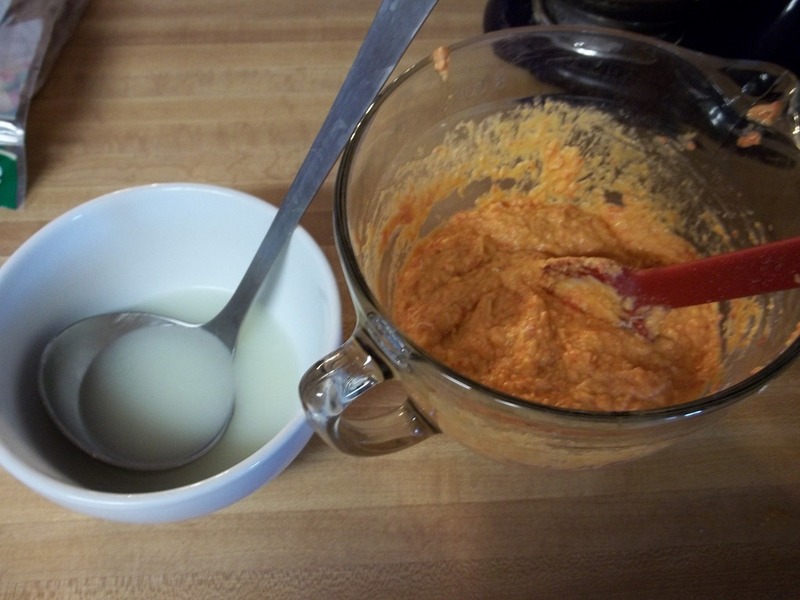 Process until ingredients make a paste. 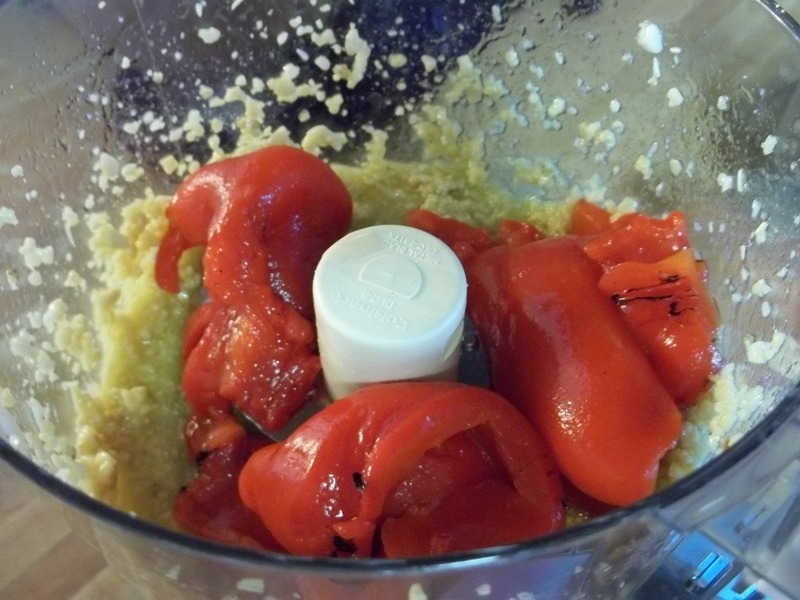 Add your roasted red peppers to the processor and puree. 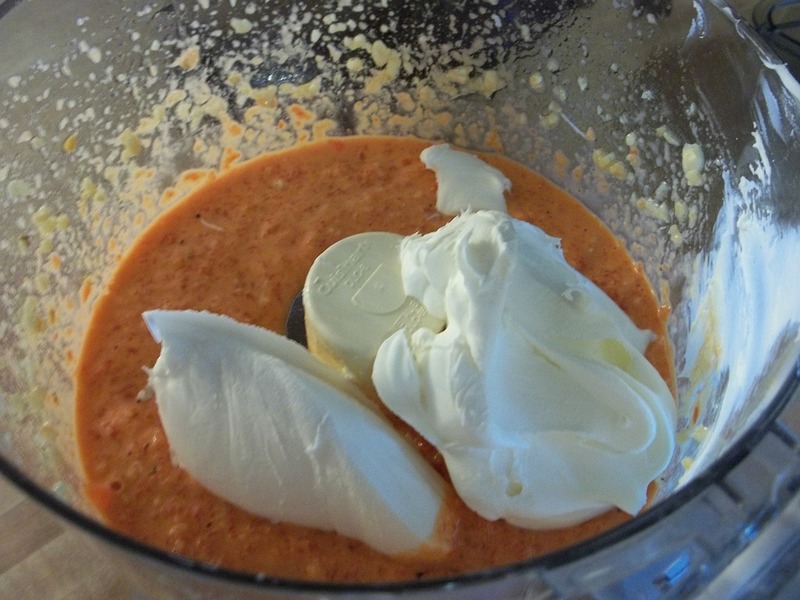 Then add your Mascarpone Cheese and blend again. Transfer to a bowl. 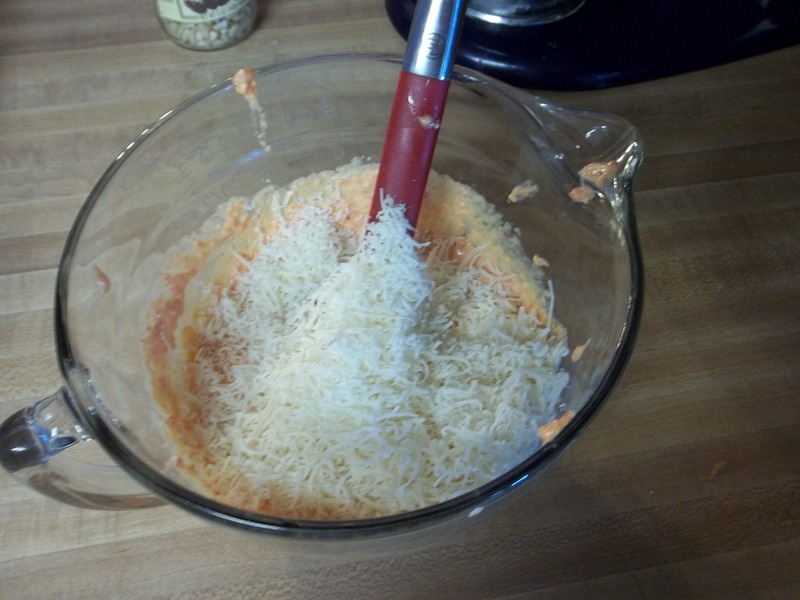 Then, add your shredded Parmesan cheese. At this point I taste the mixture and add salt and pepper to suit our tastes. When I cook pasta and make sauces I always save some of the starchy pasta water. This sauce is quite thick, so I add some of the reserved pasta water to thin it out a bit. Just add however much you want to get to the consistency you would like your sauce to be. Add the sauce to your pasta and cooked chicken, and garnish with basil (The basil is a must! It really makes the dish). Enjoy!! 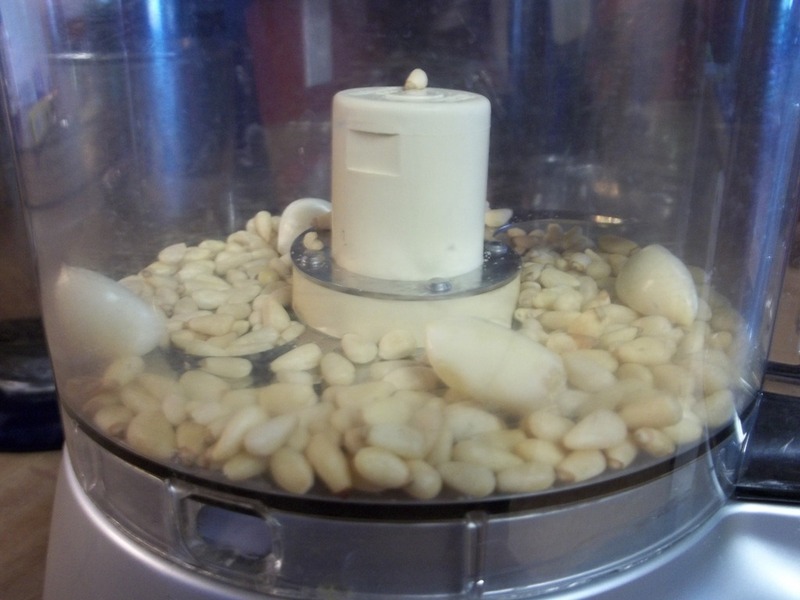 Add your garlic cloves (I use more than directed, because I’m a garlic fanatic) and pine nuts in your food processor (a blender should work too). Then add your olive oil. Transfer to a bowl. Then, add your shredded Parmesan cheese. At this point I taste the mixture and add salt and pepper to suit our tastes. When I cook pasta and make sauces I always save some of the starchy pasta water. This sauce is quite thick, so I add some of the reserved pasta water to thin it out a bit. Just add however much you want to get to the consistency you would like your sauce to be. 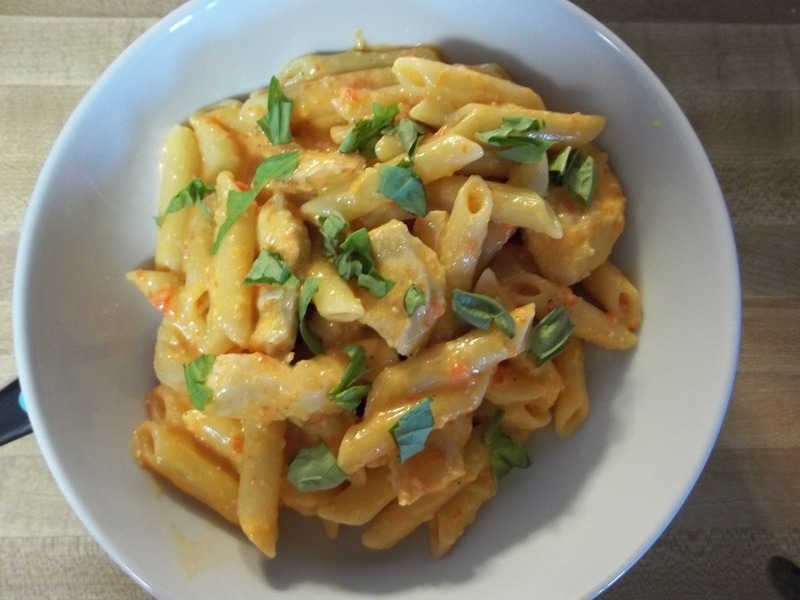 Add the sauce to your pasta and cooked chicken, and garnish with basil (The basil is a must! It really makes the dish). Enjoy! !